NZME's Newstalk ZB and Radio Sport will team up with TVNZ for exclusive live coverage rights of Team New Zealand's America's Cup defence in Auckland. The announcement will come as a blow to MediaWorks, which is understood to have been hotly contesting the rights. Newstalk ZB and Radio Sport, which have covered the America's Cup since 1983, have partnered with TVNZ and secured exclusive audio rights to the cup defence in March 2021. The deal also extends to coverage of the preceding America's Cup World Series in 2019 and 2020, the Christmas Cup in December 2020 and the Prada Cup Challenger Selection series in January and February 2021. 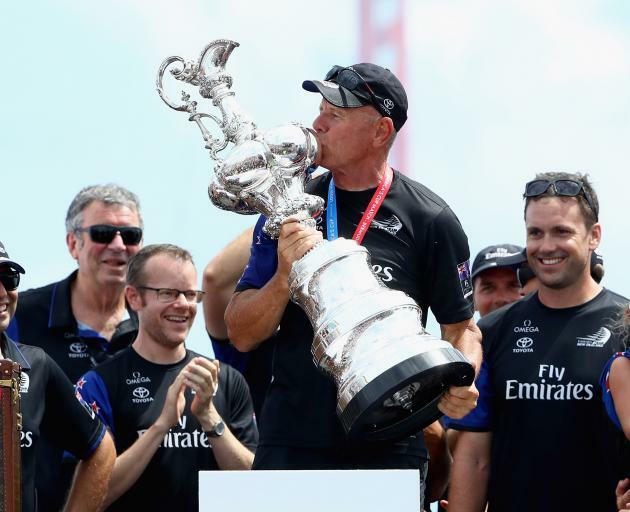 Listeners will also be able to tune in on iHeartRadio to hear Emirates Team New Zealand defend the Auld Mug in the 36th America's Cup in Auckland. TVNZ will screen all event races live on free to air television and streamed across its platforms. NZME chief executive Michael Boggs said the exclusive audio coverage meant New Zealanders would not miss a moment of the racing. "We are incredibly excited to be offering exclusive radio commentary to New Zealanders for this series that unites the nation," he said. "The teams are incredibly passionate about sharing every moment, every detail with listeners, from the second the challengers arrive on our shores until the cup is won. "Our platforms mean Kiwis all over the country will be able to stay up to date with the events." Radio Sport is New Zealand's only 24-hour sport station and last year delivered 1186 hours of live sport commentary. Newstalk ZB is New Zealand's number one commercial radio station and NZME as a network reaches more than 3.2 million Kiwis. TVNZ chief executive Kevin Kenrick said the state broadcaster would deliver viewers extensive cup coverage across TVNZ 1, DUKE and TVNZ OnDemand. "The event returning to TVNZ brings to mind Peter Montgomery's iconic TV commentary - 'The America's Cup is now New Zealand's Cup' - because it brings the whole country together and as a nation we're really invested in the team's success," he said. "We're going to push the boat out to make our coverage accessible to the biggest audiences so everyone feels part of the action. "From the first boats hitting the water to the final cup race, we're committed to bringing New Zealanders every moment of the America's Cup. Every regatta and every race will be screened live and free across a range of platforms and devices."